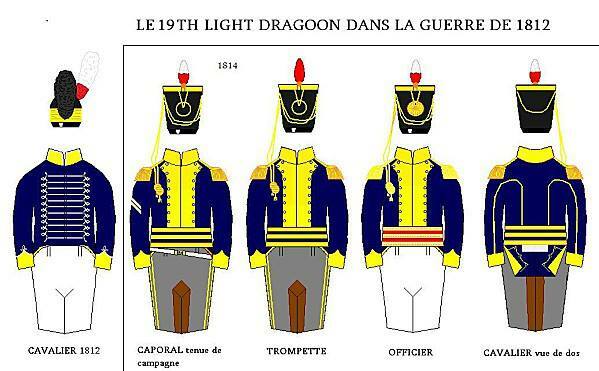 The two patterns of uniform worn by the Regiment during the war of 1812.
and are worthy of reward and encouragement. saddle was used on home service, on experimental purposes only. having fans- The appended items I am sure will be of interest. 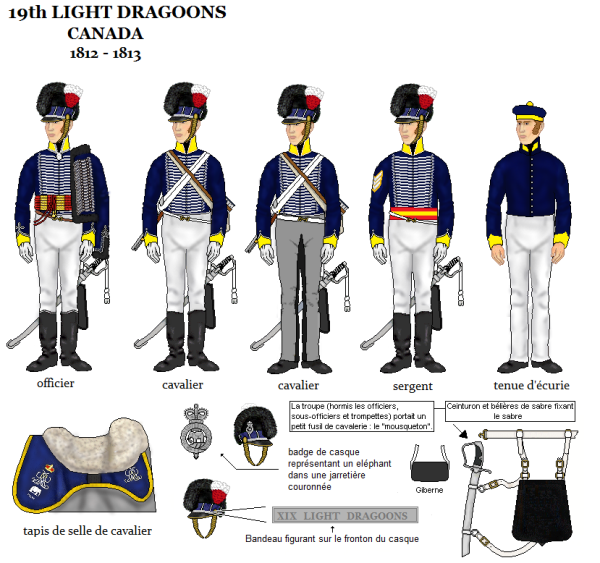 (saddle pics) Plus in 1813 the clothing would be to the new pattern. saddle that is close. The bridle image- the head collar is the bridle. band A saddle with fans has no need for the pillion. also, the saddle in Edinburgh has no brass binding to the cantle. forage rope, which they used to 'truss up' a 'stook' of hay or straw.